Funcom’s upcoming post-apocalyptic RPG Mutant Year Zero: Road to Eden is receiving a ton of attention. Judging by the recent gameplay trailer, that attention is well-deserved. 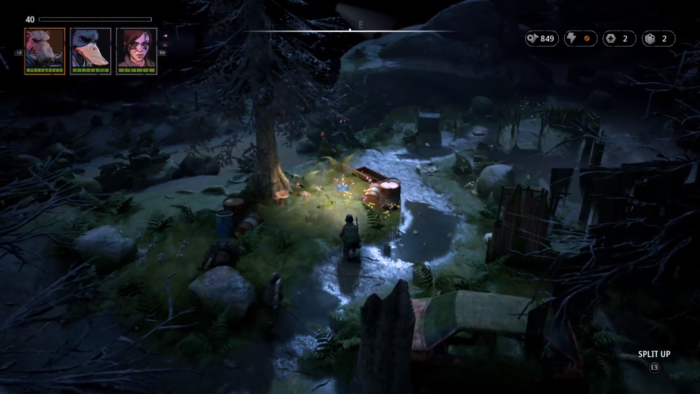 Exploration is the name of the game in Mutant Year Zero; according to the trailer, it will feature plenty of open areas for players to explore at their leisure. Players can snoop around, scour the game world for items to use or trade, complete missions, recruit new teammates, and fight all sorts of enemies. Moreover, as players explore the world, they will discover much-needed levity in just how detached the game’s post-apocalyptic world is from the modern one. Even though Mutant Year Zero is full of mutants and robots, characters believe a picture of a cartoonish moose portrays a demon and confuse a boombox for a literal bomb. It’s the kind of humor that’s tailor-made for post-apocalyptic RPGs and is extremely prevalent in games like Fallout. Mutant Year Zero, while it seemingly will focus on an expansive world and narrative, will feature an equally-robust combat system. Stealth will play a vital role; if the player initiates combat from outside an enemy’s detection radius, he or she will have a chance to finish the battle before the enemy even knows what happened. That assumes, of course, players use stealth-oriented weapons such as silenced pistols and crossbows; noisy weapons like shotguns and grenades are almost guaranteed to draw unwanted attention. Moreover, before fighting enemies, players will be able to strategically position characters to effectively take out separated enemies and ambush the rest. In some cases, players can even turn an enemy’s superweapon against its would-be masters. When Mutant Year Zero’s combat starts in earnest, it uses the same turn-based system as XCOM and Harebrained Scheme’s Shadowrun games. Players will be encouraged to fight tactically, seek cover whenever possible, and use special abilities to gain the upper hand. Some abilities, such as standing guard and firing on moving enemies, will be standard for this game genre, while others, namely mutations, are slightly more unorthodox. Yes, a game called “Mutant Year Zero” features mutations. 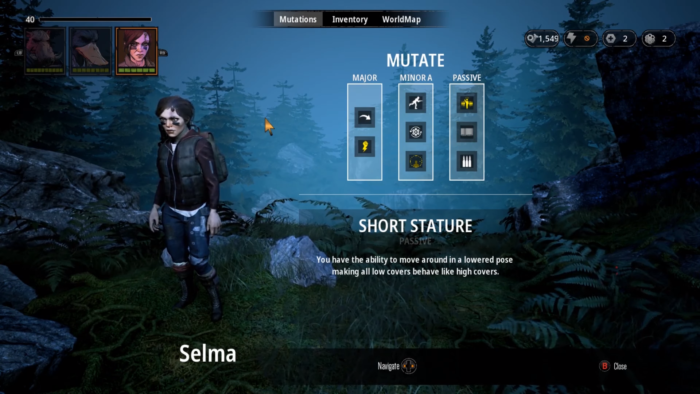 Each time a character levels up, he or she gains access to new mutations that can be swapped around while out of combat. Some need to be activated, such as stone-like skin that makes characters more resistant to damage, while others are passive, like being short to easily hide behind low cover. Moreover, players will be actively encouraged to change mutations, as some are more situational than others; bunkers with low ceiling will render wings useless, while robots will practically be begging to be targeted with the ability to disable electronics. Weapons will also be a key feature in Mutant Year Zero. Players will be able to find them in the game world and upgrade them at their home base. Like abilities, weapon upgrades will contain a mix of standard and unconventional enhancements. Weapons can be improved to hit harder and more accurately, and they can also be upgraded with ammunition that lights enemies on fire or knocks them back. Mutant Year Zero: Road to Eden’s gameplay trailer shows plenty of promise. Any gamer who has played Shadowrun Returns, Dragonfall, or Hong Kong will likely feel right at home. We at Twinfinite will continue to cover this game, which should release later this year.